Yiming (Joey) started receiving formal music training at a very young age. ge. At 15, she was the Silver Medalist of Germany Wiesbaden International Piano Competition in Northeast District of China. She performed in China’s National Grand Theater and had accompanied for various high class vocalists and opera singers. In 2011, she was admitted to Manhattan School of Music in New York City and graduated with Master of Music degree in May 2013. Shi is a Registered Teacher in National Guild of Piano Teachers, Teacher division Of the American College of Musicians. 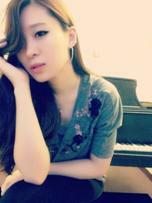 Shi is a talented and promising pianist and teacher of OAEC.